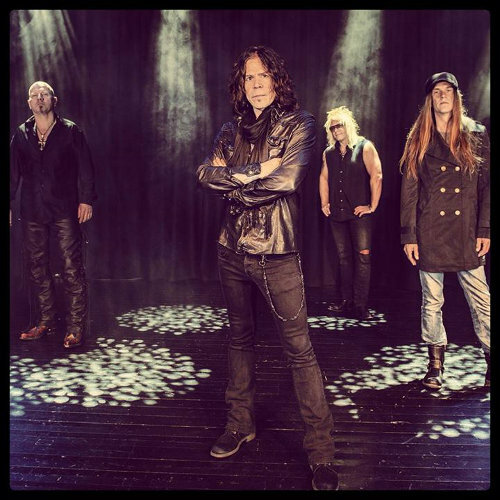 Harnell confirmed his reunion with TNT in October, explaining in a statement: "After much discussion and lots of soul searching, I'm happy to officially announce that I'll be back behind the microphone with TNT. "I'm very proud of all we accomplished over the years and proud to have written and recorded all those great songs with my brother from another mother, Ronni Le Tekrø. "Sometimes it's just time to give the fans what they're asking for. "2014 is the 25th anniversary of the successful 'Intuition' album and we thought it would be a good time to get out and relaunch this little machine for you guys! "Can't wait to see you all on tour!" In August, TNT parted ways with its frontman of the past seven years, British vocalist Tony Mills (ex-SHY). He explained in a statement: "Maybe we did 500 shows or something like that, but not many out of Norway. "It has been the most prolific live period in my career, and when I felt the stagnancy and the lack of desire to grow and develop any further, I knew my time was done with the band. "I don't think it's sensible to expect new art from the band after thirty years, just a lot of re-living the past and reconstructions of old albums and performances. "None of us are getting any younger, but I have a great desire to not stop creativity in my life. I hate wasting days and singing songs from the past to satisfy old fans. "Nostalgia wasn't doing it for me. "We were never close as friends or anything like that, so there is no great loss, and I have no doubt they will reform the original lineup and just do the whole thing all over again. I wish them good luck on that. I have other releases to come that excite me much more than that."